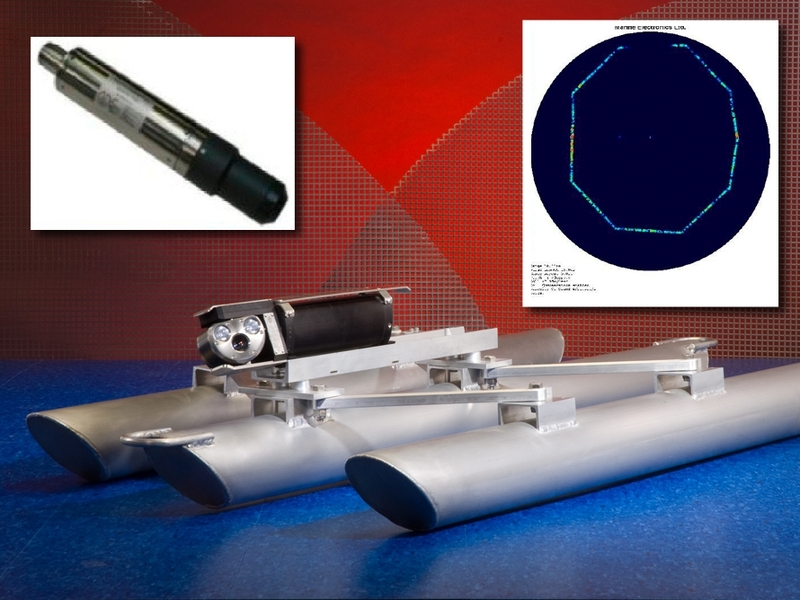 The Subsite single conductor Sonar Profiling system includes an underwater scanning transducer which may be mounted on a skid or flotation device, a sonar processor unit and the Subsite single conductor interface components. The underwater scanning unit is housed in a stainless steel pressure vessel and works on up to 2,000’ of armored single conductor cable. As the scanner is moved through the pipe, an indication of the distance traveled is shown on the screen allowing for accurate determination of the location of defects in the pipe. Internal sensors monitor and display Pitch and Roll indicators in analogue and digital form on the screen to show the orientation of the transducer unit.